Every year, the consultant's from the EcoSur Network travel around the world giving technology exchange and assessment. These trips, mostly by air, raise the personal carbon footprint. To compensate for the emission of the greenhouse gases produced by this activity, 12 years ago, a reforestation program was implemented in Nicaragua. 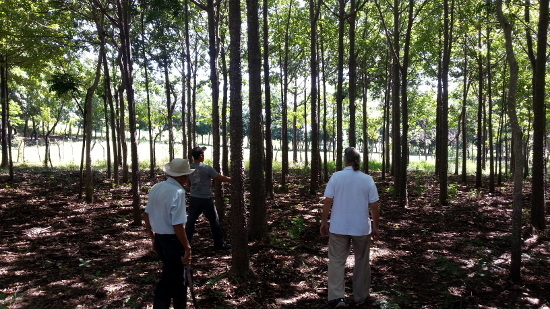 This programa, to the date, has over 22,000 trees planted. 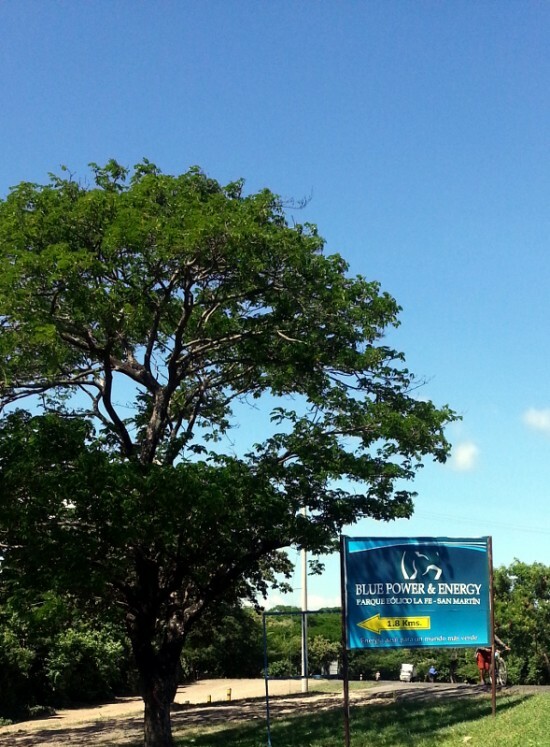 Between the Wind Farm “La Fe San Martín” and the “Las Lajas” River, along the Pan American Highway, is the small farm called “El Conuco”, where trees of pochote (Bombacopsis quinata), caoba (Swietenia macrophylla), teca (Tectona grandis), guayaba (Psidium spp.) and several endemic species, have been planted. In “El Conuco” and two other plots totaling about 20 hectares, have been planted; the trees have, in average, 8 years old. One tree can neutralize all the CO2 of a 1,000 km flight, it means that, with the 22,000 trees growing in Nicaragua, the EcoSur Network has accumulated 22 million kilometers of air flight, well ahead all the flight miles of all the travelers in its 25 years of life. Furthermore, these trees help to reduce emissions from the EcoMaterials production workshops and the normal operation of the EcoSur offices of all the local partners.